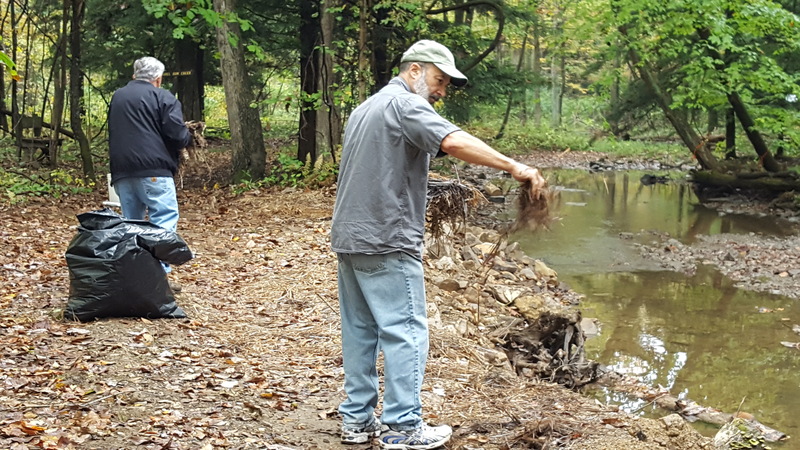 Home » 2017 » November » Laurel Run Stream Restoration Completed! 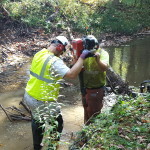 Laurel Run Stream Restoration Completed! Thanks to Adam Cotchen (Indiana County Conservation District), the PA Fish and Boat Commission’s Mark Sausser and his staff, Yellow Creek State Park staff, Phil Hay and Son Excavation Company, several PASEC and Evergreen volunteers and Eli Long from Trout Unlimited, this project was completed in one day on Sept 25th. 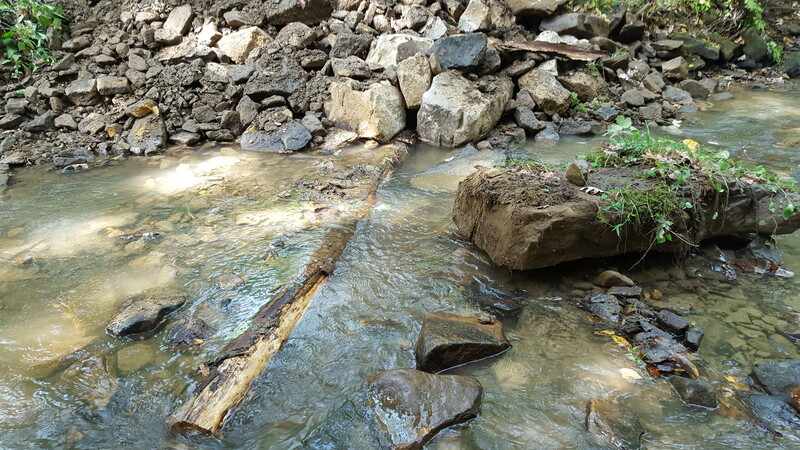 The stream was threatening to undercut the walking path to a dangerous degree and the bank needed to be stabilized. 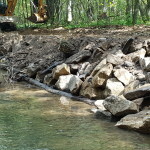 It is also a trout stream and will benefit from the fish habitat this project created. 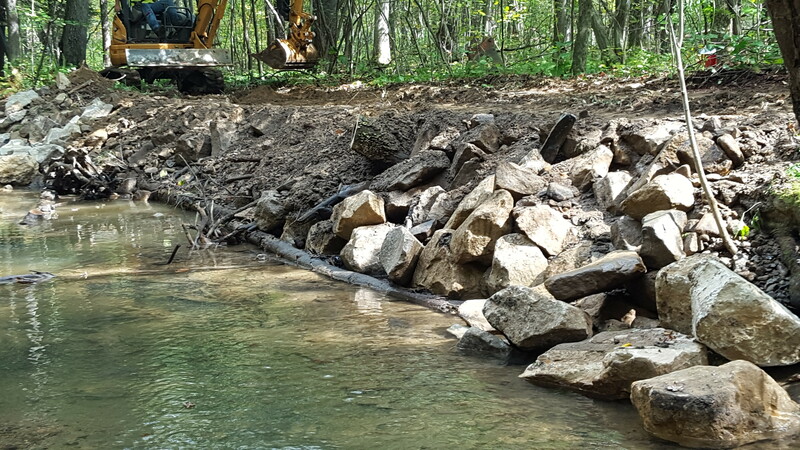 It was incredible to watch the precision of the skid loader operator as he moved logs and rocks around to create the log vanes and mud silt that make up the fish habitat and stabilized the bank. The company prides itself on having a low impact on the surrounding area and they did an outstanding job. After the work was completed we seeded the banks and area around the project with a seed mix of native plants for riparian buffer zones. Thanks to everyone for their work to make this happen. 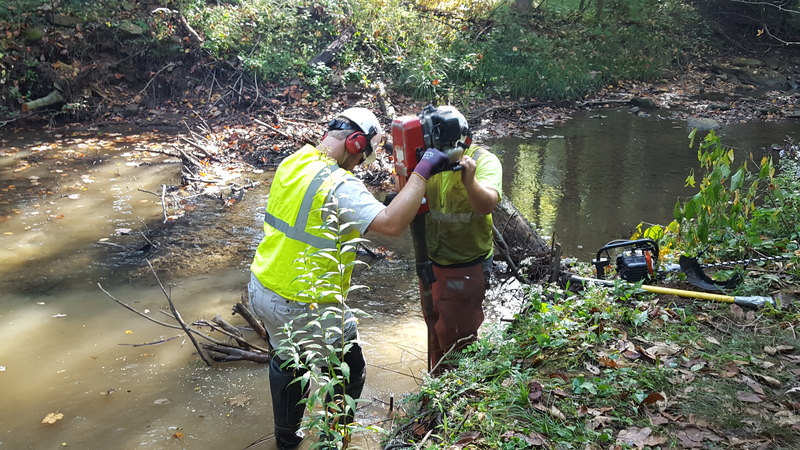 Evergreen was able to fund this project with grant provided by the Dominion Energy Charitable Foundation which is dedicated to the economic, physical and social health of the communities served by Dominion Energy companies. 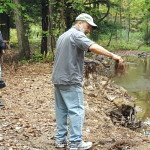 Western Pa Conservancy administered the grant. 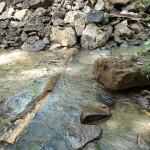 FOYC also helped fund this project with a donation to cover the additional cost of the seed needed for the disturbed areas.